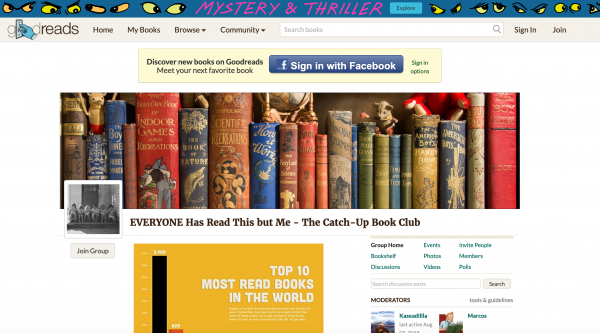 5 Online Book Clubs You Must Join & We Tell You Why! Some may call you a bookworm, others may describe you as a book lover, but whatever name you’re given they all mean the same thing; you love to read. Reading is probably the number one pastime in the world. Even with the advent of the internet and social media, reading books is still part of our way of life. We all take pleasure in thumbing through the pages as we become engrossed in the words on the page. Nowadays it doesn’t have to be a hardback or paperback book it can be an e-reader, tablet or smartphone. The way the words are delivered to us doesn’t really matter; it’s the words themselves and the thoughts and meaning they represent that keeps us coming back for more. Generally, reading is seen as a very personal and intimate pastime. It’s you and the story. Like books, and now electronic readers, are so portable we’re used to having them on hand wherever we go. When you’ve come across a great read, the tendency is often to share it with your friends and family, but you’ll never get the same discourse about a book if they haven’t already read it. That’s where book clubs come in. It’s where people can get together and read the same book, at the same time, and discuss its merits or faults, and get more out of the reading experience. 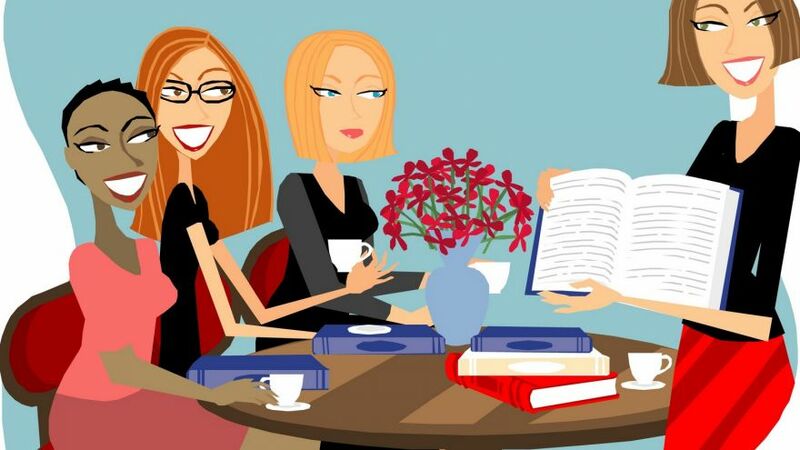 In the past book clubs have been places where people can congregate for a social event as much as anything. However, finding the right group of people to talk with can be difficult, and does involve a deal of planning and traveling to get to the venue on a regular basis. That’s why online book clubs have become more popular. Becoming a member of a book club online frees you from looking for like-minded readers in your locale. You can find people who like the same things as you on a global scale. It doesn’t matter if you are in Los Angeles, Lagos, or London, you can still be a member of the same book club. Joining an online book club you still get the sociability of discussing the nuances of a book with friends, even though you may be thousands of miles apart. It is also a great way to be introduced to books you may have never considered reading before. Being part of a group of readers also allows you to encourage others to discover your favourite books and authors. The regular meetings of a book club bring discipline to your reading habit and force you to complete a book before the deadline of the next meeting. A book club also opens you up to other ideas, which can promote healthy debate and learning that can transcend the politics of the day. Getting a different perspective on a book from the other readers may broaden your outlook on life and the way the world turns. A good book club should have a pleasant atmosphere where everyone is allowed to express their views, and maybe have a glass of wine to ease the conversation. The drawback of a traditional book club could always be that the book chosen for the group to read is not interesting to you. You may prefer a specific genre of book, such as science fiction, crime, or romance. That’s where the online book clubs score, as lots are genre specific, with members reading types of books in which they already have an interest. If you’re not a fan of NFL football, then the name Andrew Luck will probably not mean much to you. His day job is the quarterback for the Indianapolis Colts football team, but when he’s away from the field, Andrew Luck is an avid book lover. The Stanford-educated player has made it his person mission to ignite a love of reading among young and old alike. The Andrew Luck Book Club features books he personally selects every month. The great thing about Andrew’s site is that it encompasses new readers as well as those who more well traveled in the literary world. There are two reading options each month, one for young or new readers, the ‘Rookie’ option is aimed particularly at young adults, and another selection is for the more mature or advanced reader. There is no set theme or genre of books, which gives it a very broad appeal. The Rookie option features many books Andrew Luck read and loved as a child, and mature choice features more literary classics or good reads that are currently on the market. Book club members are encouraged to share their thoughts and questions on social media, and the group has a following on Facebook and Instagram, just look out for the hashtag #ALBookClub. When life becomes hectic and time gets precious, taking time out to read books often has to take a back seat. Mothers when raising a family often complain they never have any time for themselves, and picking up a book can be he the last thing on their mind. Needless to say over the years of not reading regularly we can all miss out on some truly inspiring and classic literature. This book club, which is under the umbrella of the Goodreads website, likes to think of itself as the ‘catch-up’ book club. The idea is that readers have a chance to read popular books that have managed to slip through their fingers or with not having enough spare time have just passed them by. Each month there are three choices available for readers. There is a classic novel that may have been on the school curriculum or is one of those books that everyone but you appears to have read. The second option is what can be described as a ‘modern’ classic, or a book that has become popular and hitting the bestseller lists. The third book on offer is what is described as the ‘catch-up’, a book that other group members have already read, and it gives you a chance to see what you missed. Some of us like to be ahead of the game, so the Next Best Book Club maybe what you’re looking for. The club is moderated by independent publicist Lori Hettler, who has a passion for small publishers and independent authors. The idea is to bring to the attention of members, new and undiscovered writing. Members jokingly complain that after joining their ‘to-be-read’ lists have grown exponentially. 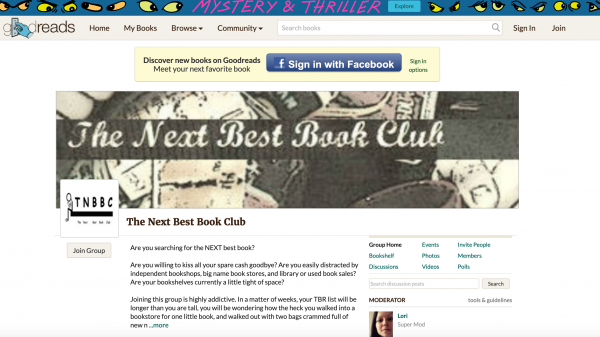 With over nineteen thousand members, this is one of the biggest book clubs in the Goodreads stable. Moderator Lori Hettler likes to create reading challenges for the group. A recent challenge was based on the Beatles. The Beatles Reading Challenge asked readers to turn the Beatles’ song titles into books to read. Anything with ‘love’ in the title would suggest reading a love story, and so on. The challenges have become so popular that Lori is now creating the official reading challenge for the Goodreads website. This year she has chosen the band Guster as the basis for her challenge, asking book club members to pick one of the band’s albums and reading books that can be matched with the song titles. This way readers are exposed to new music and new literature at the same time. Getting young people interested in reading is much harder these days with all the distractions they have in their lives. However, once they get the book bug, there can be no stopping them, especially now that young adult fiction has hit the mainstream with movies and TV series based on the novels. 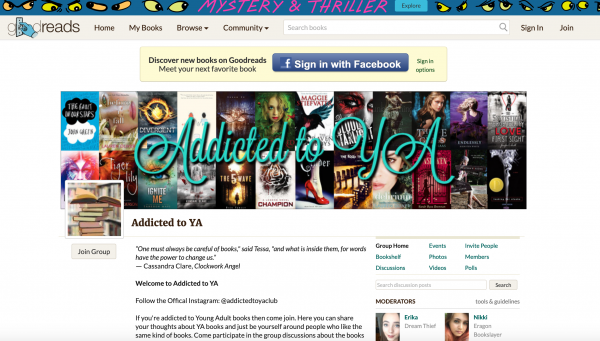 Addicted to YA is massively popular with a reading list featuring a series of books and standalone novels. Unlike other book clubs, the discussion groups are buzzing with comments, which show that members are very much engaged in the books on offer. Each month there are up to four titles to choose from, some are standalone novels, others part of a series. The discussion groups also include an ‘author feature’ where there is an interview with young adult fiction writers and a synopsis of their novels. It is also a chance for the authors to interact with their readers and give away copies of their books. This book club is both online and offline in many of the largest cities in the world. 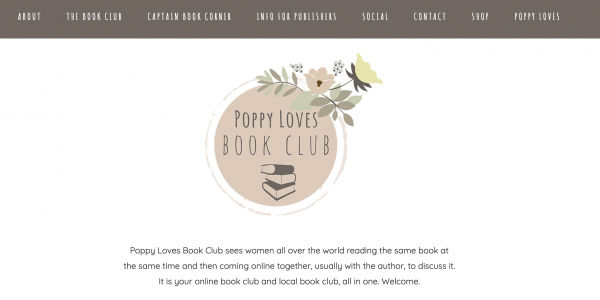 So you can experience the traditional social book club atmosphere, or on the last Wednesday of each month take part in the global Poppy Loves Book Club meeting for a live discussion on Facebook about that month’s selection. Poppy Loves has been created by women especially for female readers. The club announces a new collection every month, and there are strict criteria when making a choice. Any book chosen to be read by the group must be available in paperback, or for the Kindle ebook reader, and has been published worldwide. This ensures that the books are cost-effective reads and all the members have a change in taking part in the group read. By making sure that the books are not hardback editions the book club offers exposure to new and emerging authors.